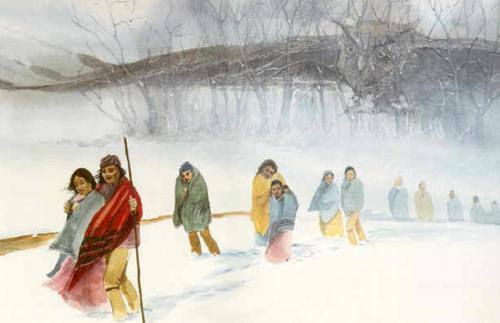 Trail of Tears facts provide the information about tragic journey, history and story for Trail of Tears. The trail is measured around 1000 miles. There were Five Civilized Tribes of Creek, Choctaw, Cherokee, Chickasaw, and Seminole. All five tribes were forced to travel to reach the reservation which is now called as Oklahoma from their homeland, Deep South. 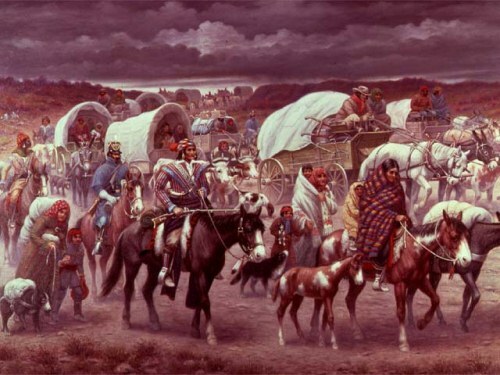 Here are the complex facts about trail of Tears. 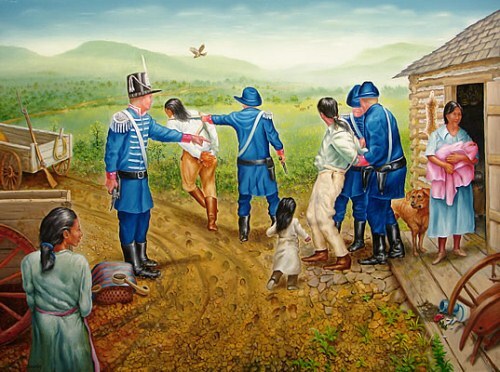 The Journey of Trail of Tears began in 1831 by removing the Choctaw tribe. In 1834, the Creek tribe was removed. In 1837, it was the turn for the Chickasaw tribe to move. In 1838, the Cherokee tribe was moved. The journey was not easy. There were at least 5000 Choctaw Indians died from the total 16,000 Choctaw Indians who included in the journey. The 5 civilized tribes had different political and cultural styles. They had to adopt the European culture and way of life by converting the religion into Christianity, using the similar European clothing, performing farming method and houses. A great figure of Indian people is seen in Pocahontas facts. The tribes also had a public school, judiciary system and written constitution. The wealthy members from the tribes live well because they often owned some black slaves working on the cotton plantation. The American civil war last from 1861 to 1865. It marked the fall of the Five Civilized Tribes. A famous Indian woman can be seen in Sacagawea facts. The main person who marked the Trail of Tears was President Andrew Jackson. The decision of this man was to clean some Indian tribes. In 1830, the Indian removal act was signed by President Andrew Jackson. It was used to reverse the right of respecting the Indian people in US. It was used by the government to move the Indian tribes from Deep South to Oklahoma reservation. 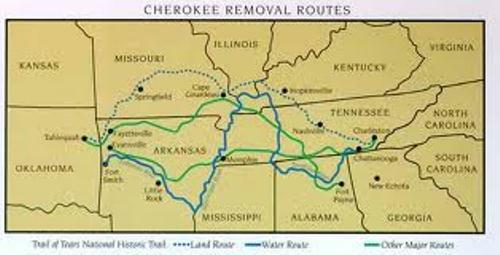 There were around 17,000 Cherokees who had to move from their land in 1838. They have to go to the Indian reservation across the trail of Tears. The removal of the Indian people from their land was led by General Winfield Scott. During the journey, the Indian people were not allowed to take more blanket, food or clothing. Cherokees were grouped into several parts. A group consisted of 1000 people. Throughout the journey, they were only allowed to take 5,000 horses, 600 wagons and cars and 100 oxen. 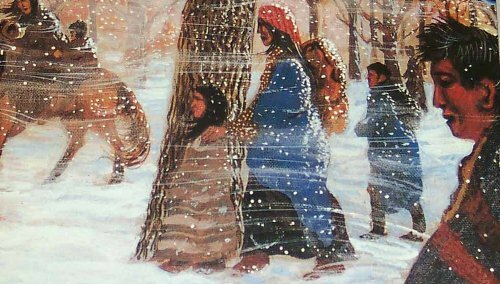 Many people died along the journey in Trail of Tears. Many of them cannot resist to the cold weather because they did not have adequate clothing. Some of them also suffered from disease, starvation and malnutrition. Do you have any more facts about Trail of tears?